Boyfriend jeans are on the short list of denim styles every woman should own (along with skinnies and a great pair of kick flares, of course). But we know that sometimes the relaxed style can feel a little rote (there are only so many Sundays in a row you can pair them with a tee and sneakers, no?). But this year celebrity trendsetters are finding cool ways to mix things up. So how do you wear boyfriend jeans in 2019? Below, you'll find seven inspiring ideas that feel especially fresh. Now you'll want to wear them every day of the week. Vintage-toned jeans and a coordinated jacket have a '90s feel, but adding a simple turtleneck and ankle boots make the look feel especially modern. 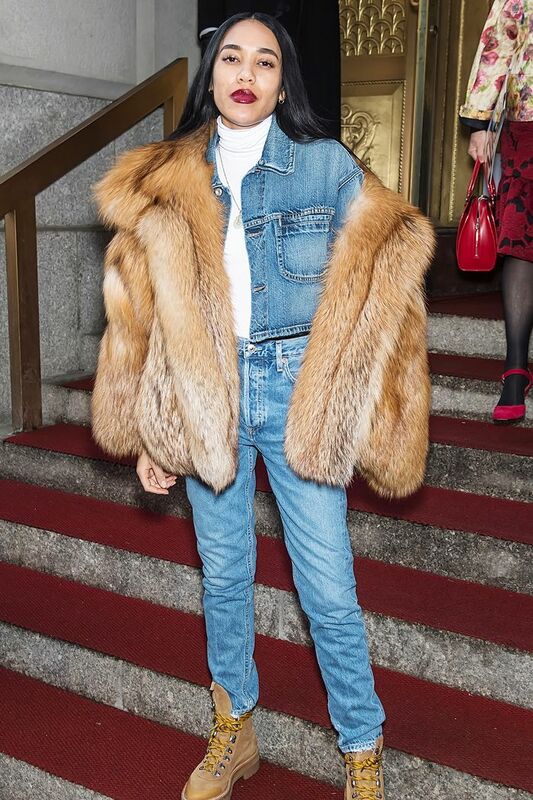 For a seasonally appropriate take on boyfriend jeans, lean into their oversize nature by pairing them with a puffy parka. Finish with laced combat boots and you're all set to go. Weekend dressing doesn't have to be boring. A flowy top and fashion-forward flats are the perfect off-duty pieces with boyfriend jeans.